Why hire a Porsche 911? You may have long dreamt of driving one. Now even if it’s not practical for you to own one, our Porsche 911 hire packages mean you can hire a prestige car without having to worry about the cost of maintenance or where to keep it. If you’re looking for a gift then Porsche 911 hire is perfect for a fantastic driving experience. They’ll love the thrilling performance, grip and handling of this iconic all wheel drive sports car. It’s a true driver’s car. Take the roof down and head off to the beautiful Yorkshire Dales or Lake District, both within easy reach of our base near Skipton, North Yorkshire. 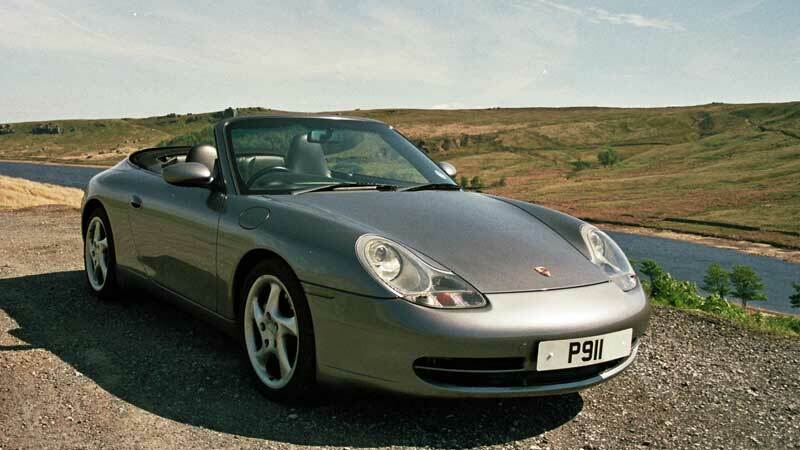 The Porsche 911 cabriolet is an ideal choice for couples wanting to hire a self drive wedding sports car in Yorkshire. Although an obvious groom’s car, it is also a surprisingly popular choice for both the bride and the groom. The classic clean, smooth silhouette of our silver grey metallic Porsche 911 Carrera 4 sports car is instantly recognisable. Turn the key and the rear mounted 3.4 litre engine erupts into the unmistakable mellow howl of the flat six. This is an amazing performance car to drive. But if sheer power worries you, you needn’t be concerned. The Porsche 911 we have for hire in Yorkshire is the 4 wheel drive version. This means it handles much better and, thanks to its razor sharp steering, goes exactly where you point it. The Porsche’s modern anti-lock brakes means the car stops when you want it to. In short, it is everything a Porsche should be – capable, strong, well built and communicative. Compared to older Porsche models, ours is more comfortable and better equipped with electrical gadgets and safety features. It has traction control, power steering, power hood and air conditioning, and unlike earlier models of the 911, it feels secure and composed. 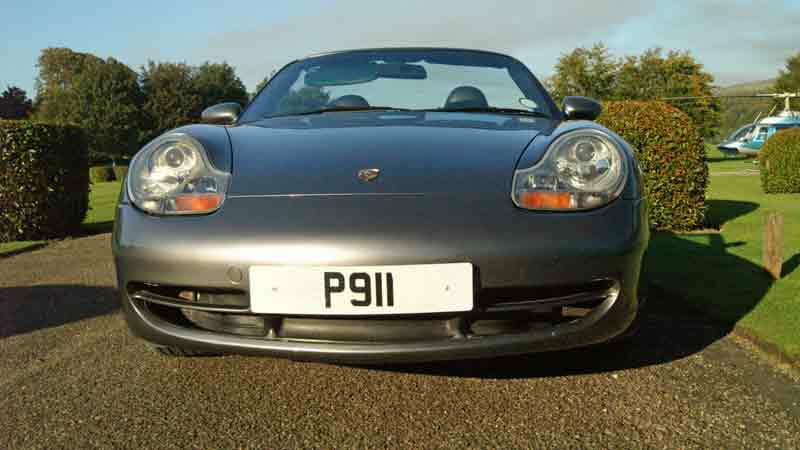 All 911’s have a sub model number and ours is the 996. The subsequent model, the 997 has a 3.6 litre engine and we have been told by 997 owners who have driven our 996 that the 996 is much easier to drive. 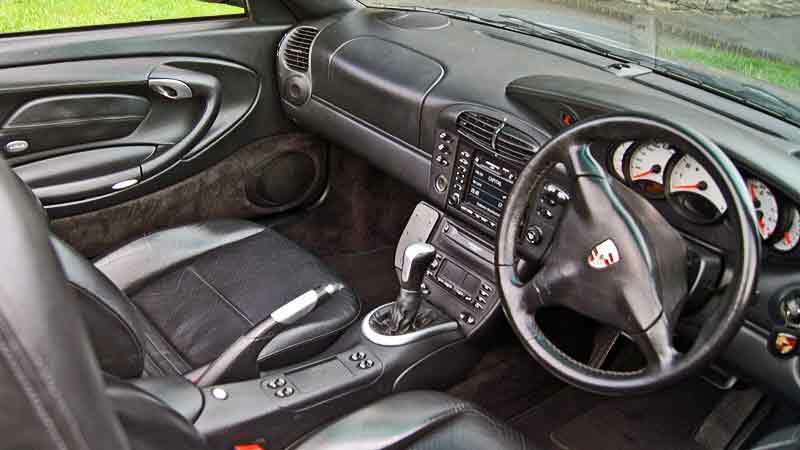 The 911 has a black leather interior, snug fitting bucket seats, black mohair power hood and 18″ alloy wheels. The car is a 2+2 with room in the back for two children only. It has a small but usefully shaped boot under the front bonnet. Book a Porsche 911 hire today for a memorable Porsche driving experience. Porsche 911 – magic words to car aficionados. But everyone – whether a car enthusiast or not – has heard of a Porsche 911. From rather humble beginnings in the 1960s, the 911 has gone on to become one of the most influential and most recognizable vehicles in the world, without ever having had a major design overhaul. It’s an iconic sports car that has remained at the pinnacle of automotive engineering throughout the last 50 years. In fact it is generally regarded as one of the best all round sports cars the world has ever seen and one of the best looking cars in its class. Despite the fact that Porsche’s product lines have expanded in recent years to include the Cayman, Boxster, and Panamera, the Porsche 911 remains the flagship of the Porsche line up. 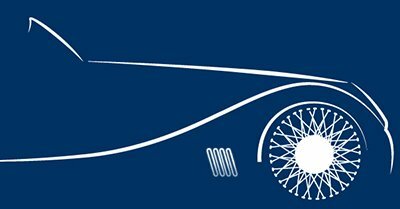 Porsches have always been raced and rallied by the factory, professional teams and private individuals. The 911 is no exception and has featured in motorsport ever since it was first produced. Currently Porsches appear in British GT, Le Mans, and American sports car racing. In Britain the Porsche Carrera Supercup is one of the premier national championships, and there are versions of this championship in countries all over the world. Rally and off-road racing are also important parts of Porsche’s rich motorsports history with notable wins throughout the 1960s and 1970s. These included 4 wins in Monte Carlo (1968, 1969, 1970 and 1979) and the European Rally Championship (1970). Thereafter Porsche still built several 911s to race some less-competitive events, such as Safari and the Paris-Dakar rally. 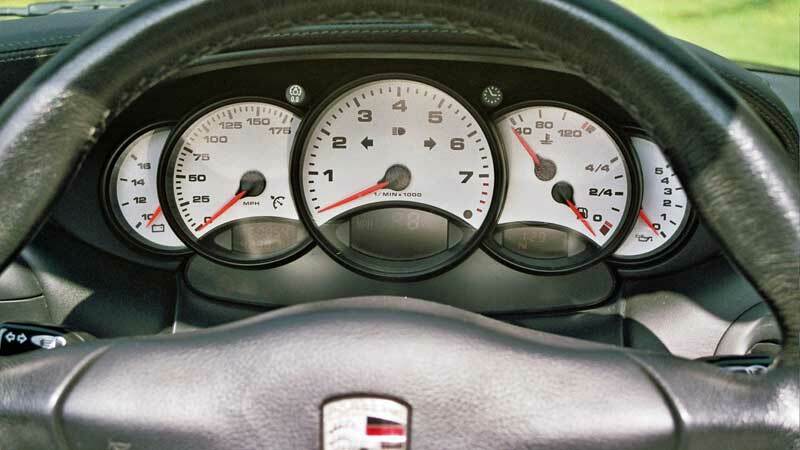 The water-cooled Porsche 911 996 Carrera was preceded by the 993, which was air-cooled. The water cooled engines were introduced to better comply with emissions tests. The 996 was first shown at the Frankfurt Motorshow in 1997. It had cleaner body styling, and a wider cabin and body than the 993. It did not need therefore, to have projecting wheelarches to cover a wider track. The 996 is a great daily driver, some say even more so than the 997 model which succeeded it. Top speed 174 mph. 0-60 in 5.4 seconds. Listed as 16.2 urban, 32.1 extra urban, 23.5 combined. Power assisted disc brakes on all wheels with ventilated discs and ABS. 2 door, 2 + 2 soft top. Please note that luggage space in the Porsche is limited. The boot is only 5′ * 25′ * 12′, although there is some space on the rear seats. Silver grey metallic with black leather upholstery. Electric hood with hard top available if required. 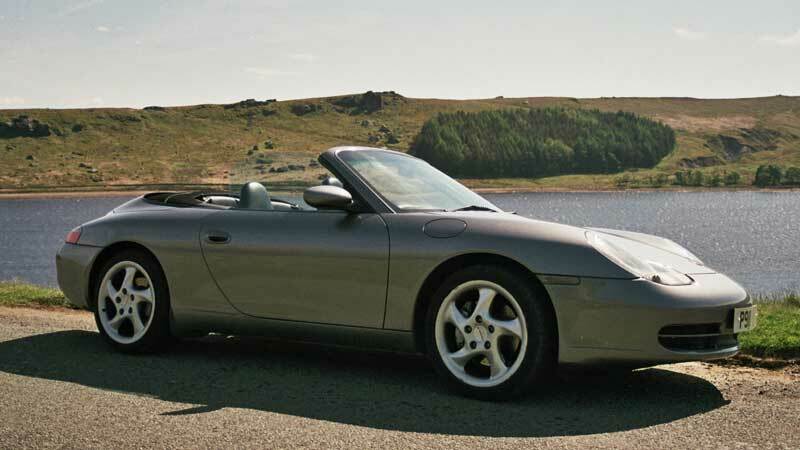 Our Porsche 911 hire car is available for collection in Keighley, West Yorkshire, not far from Skipton, the ‘Gateway to the Dales’. Our location is within easy reach of all the major towns and cities in the north of England. We are in an ideal location for Porsche 911 Hire Leeds, Bradford, Huddersfield, Halifax, Wakefield, Sheffield, York, and Harrogate. 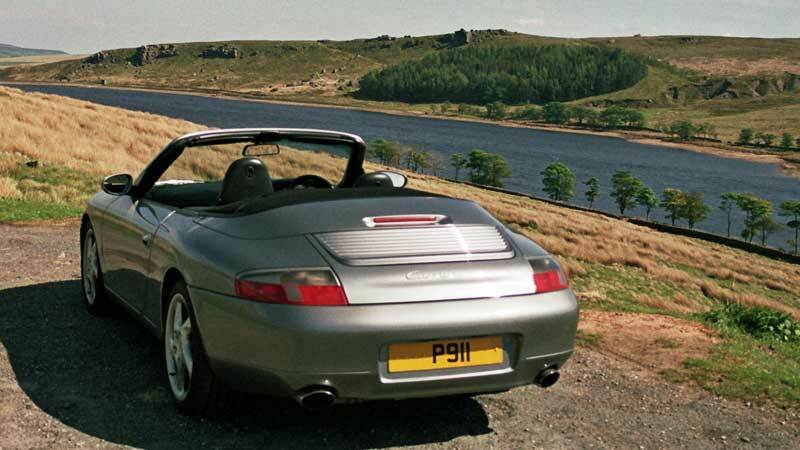 For Porsche 911 hire Preston, Blackburn, and Burnley you don’t have too far to travel either. We are within an hour’s drive of most of the towns in Lancashire via the M65 or A59. Once you’ve collected it you can drive our Porsche 911 hire car anywhere in the UK subject to our terms and conditions.